Imagine you have a car lying idle and you have a few hours to kill. Maybe you are a young mother who has a kid in kindergarten; or, a gym instructor who works only in the evenings. You can either go around town, doing a bit of shopping, or just spend quiet time reading at a park. Or, you could use that time to make some extra money. The e-commerce giant, Amazon, has created a network of independent contractors who use their car to make last-mile deliveries at a time of their choice. 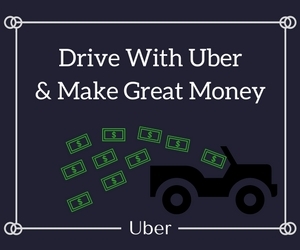 It works on a similar model to Hyrecar, Uber and Lyft, services which allow you to rent out your car or drive around passengers in your free time. If you need a job in your spare time which doesn’t involve driving around drunk party-goers or putting up with overly friendly commuters, read on! Amazon Flex is the e-commerce website’s courier service which does not involve full-time employees for delivering the shipments. Independent contractors – basically anybody with a car and a license to drive – can offer their services to make last-mile deliveries at a time of their choosing, and earn according to the deliveries completed and the time taken for the same. To begin, go to the Amazon Flex website. Select your location from a list of cities and towns on the website. If your location is not on the list, you can still join the waitlist and you will be notified when Amazon Flex comes to your city. If your city is listed, you will be asked to answer a few questions. These will pertain to the basics, like the make of your car, your phone model, operating system (Apple, Android) and so on. Once these questions are answered, you should be able to download the Flex app on your smartphone. After downloading the app, you need to sign in using your Amazon account details. If you do not have an existing Amazon account, you need to create a profile using your email account on the Amazon website. After this, you will be asked some questions, enabling the team from Amazon to do a background check on you. You will then be asked to select a service area where you can deliver packages. You will be required to fill in your availability and your bank details after which the registration process will begin. What Do You Need to Become a Flex Driver? The basic necessities are just two – a car and a smartphone. Your car should be at least a four-door mid-sized sedan, SUV or van. You will be carrying multiple, often odd-sized packages and you need to ensure that there is plenty of room in your car to carry all of them. Not only that, there will have to be enough space so the parcels are not cramped together, or else you might risk damaging the package. If you own a truck, make sure it is weatherproof, which typically means the bed is covered. You should also own an Android or Apple smartphone, or a phone with any operating system in which there is GPS (to enable you to find the addresses) and a camera allowing you to scan barcodes. An Android phone should have Android version 6.0 and above, while an iPhone should have iOS 9.3.5 or above, or any model since the iPhone 5. How Long Does the Registration for Flex Take? Your driving history and criminal records take between two to five days to verify. Once it is done, you receive an email from Amazon saying that the process is completed and you can begin delivering packages. In case there is any information you need to change or haven’t heard from Amazon for a considerable period of time, you can contact their Accurate Background team. If You Are Hired, Does Amazon Offer Any Preliminary Training? When you install the Flex app, you can view a number of videos which take you through the basics of using the app and making deliveries. It is fairly easy to pick up, all you need to learn is how to update your availability, picking up and delivering parcels at the correct address and how to keep track of your earnings. There are 19 videos in all which can help guide you through the process. How Many Hours Do You Need to Work Each Day As An Amazon Flex Driver? Amazon Flex drivers work in shifts called delivery blocks. A delivery block can be anything between three and six hours long. Delivery blocks for AmazonFresh and Amazon Restaurants are shorter. You can either update your available time slots on the app, or book available time slots a day in advance. The second option is often very competitive and blocks are assigned on first come, first serve basis. For the first option, the app notifies you when there are deliveries scheduled during your time slots, and you can choose to accept them. Your License Isn’t Even a Year Old; Can You Still Join Amazon Flex? As long as you are at least 21 years old with a valid license to drive in the US, you are eligible to join Amazon Flex. Does Amazon Offer Insurance to Flex Drivers? While Amazon offers commercial insurance to its Flex drivers, the insurance for your car, and all other paperwork is expected to be taken care of at your end. How Do You Use the Flex App? Once your availability is updated, you receive a notification an hour before your block starts. The app shows your pickup locations, addresses for delivery and the size of the parcels. Once you reach the pickup point, you need to check in, and your block-time begins. You have to scan all barcodes on your parcels before loading them into your vehicle. You can then begin the trip to deliver the shipments. Does the Flex App Provide Directions to the Delivery Location? The app offers a suggested route to deliver your packages. However, if you are not new to the part of the town and know a route which will help you deliver faster and without hassles, you can certainly take the one you know. You’re never bound to follow the app’s directions exactly, which comes in handy when fender benders or other roadblocks pop up. What Kind of Deliveries Will You Be Expected to Make as a Flex Driver? Amazon Flex drivers can deliver shipments for Amazon Prime Now, AmazonFresh and Amazon Restaurants, along with Amazon.com shipments. You could be delivering anything from hot dinners, a bouquet, and sports equipment, to alcohol. If you are accepting deliveries for AmazonFresh (groceries and household essentials), ensure your vehicle has enough room to transport larger or heavier shipments. How Do You Know If Amazon Flex Is Available In Your City? Amazon Flex currently operates in these cities in the US. If you wish to be informed if it comes to your region, click on “My region is not here” on the Flex website and fill in your contact details, so that you can be notified when your city is covered. How Much Do You Get Paid If You Work With Amazon Flex (And Is This Money Taxable)? You can make between $18-$25 an hour working for Amazon Flex. It depends on the number of deliveries you make and also the delivery block you choose. Higher earnings can be made if you accept a delivery during peak hours. The money you earn as an Amazon Flex driver is certainly taxable. However, it is left to the driver to file the taxes for their earnings responsibly. Because you are a contractor, you’ll be issued a 1099, which has not had any taxes withheld. Keep this in mind, as you’ll be fully responsible for all taxes come April. Payments are made every Tuesday and Friday. Your earnings are transferred to your bank account via direct deposit. Are You Eligible for Tips If You Make a Delivery? If you are delivering orders from Prime Now, AmazonFresh or Amazon Restaurants, you can accept tips from customers. Amazon Flex drivers can retain 100% of the tip they receive, and it is added to your account a couple of days after the delivery is made. Is There a Limit to the Number of Packages You Can Deliver in a Shift? It is possible to accept up to 70 orders for delivery during a block. The only limit to the number of orders is how much space you have in your vehicle. This obviously does not imply you cram your car with packages because you are responsible for delivering all the shipments safely, reliably and without any damage. Once You Reach the Customer’s Location, What Are the Steps You Should Follow? On reaching the specified location, you should confirm the address. After confirming the address, scan the code on the parcel (or parcels, if there are more). The next step is to check if the customer has any special instructions for delivery (leaving it in the lobby or getting the access code for a gated building). Make sure you follow those directions and place the package such that it is safe, hidden from view and protected from the weather. If it is before 8 p.m., try knocking and let the customer know their order has arrived. If they are not at home, leave behind a “We Missed You” card with the order details and where you have placed the package. What Happens If You Are Unable to Deliver a Package Because, Say, You Are Unable to Reach the Customer and the Package Cannot Be Left in the Building Lobby? There could be times when you reach the location but do not find the customer, or anybody else to accept the order on their behalf. You should try calling the customer, and if they do not receive your call, contact support. If there is no way to deliver the order at all, you should mark the order as “Undeliverable” and return it to the Amazon warehouse at the end of your block. Are There Any Special Precautions That You Need to Take While Delivering Packages? Customers often specify if there are any instructions regarding delivery which need to be followed. There are some thumb rules, however, enabling you to perform more responsibly. If you are delivering for AmazonFresh, you might deliver liquor. When you deliver the package, ensure the customer is of valid age. If you have any doubts, you should ask the customer for an ID card. If it is an Amazon Restaurants delivery, you should have an insulated bag which maintains the temperature of hot meals. Similarly, if you are delivering chilled or frozen goods, they will be placed in an insulated bag with dry ice. The dry ice packs will have to be returned to the warehouse after delivery. How Do You Ensure That You Deliver the Correct Shipment, or Do Not Waste Time Looking for the Package Among Any Other Packages in Your Car? The address you reached should be verified as being the same as the one mentioned on the parcel. If you are facing problems reaching the location, you can always call the support team to guide you. It can be cumbersome and consume precious minutes from your block to search for the parcel once you reach the address. To avoid this, stack your packages according to cluster codes Amazon designates to each locality or area, which makes them easier to access. Do Amazon Flex Drivers Wear a Uniform? Amazon Flex drivers are not required to wear a uniform or any other indicators of their position. However, it is advisable you dress in a manner which assures the customer of your professionalism and allows them to place their trust in you and the company. What Happens If You Do Not Accept Delivery Orders for an Extended Period of Time? You fail to deliver packages without a valid reason. Does Amazon Compensate Drivers for Fuel, Tolls and Other Costs? Other than commercial insurance, no costs of travel, such as fuel, toll taxes, parking charges and so on are borne by Amazon. As Flex drivers are treated as independent contractors, it is required of them to bear the expense themselves. You Are an Amazon Customer. How Do You Know Your Shipment Is Safe with the Flex Driver? All Flex drivers are citizens and permanent or temporary residents with a verified social security number. They are hired after a stringent background check into their police records, driving history, identity, and other credentials. Customers can, therefore, be assured of reliable service by Amazon Flex drivers. Can You Take up Driving for Amazon Flex as a Full-Time Job? While there are plenty of opportunities to make decent sums as an Amazon Flex driver, it is also very competitive and demanding on your time. Assuming you do have it in your city, Amazon Flex could often have long waitlists of people wanting to join the crew. Secondly, deliveries on some days could be lesser than usual, or you might find yourself driving around a little too much for just one delivery. If you have undeliverable packages, they need to be returned to the Amazon warehouse which might cost you an extra trip. Earnings, therefore, can be pretty erratic. If you have dependents who you need to provide for, it is advised to have “Flexing” as a part-time job with another job to supplement your income and provide yourself with a financial cushion of sorts to fall back upon. If You Are a Flex Driver, Are You Entitled to Receive All the Amazon Employee Benefits? As an Amazon Flex driver, you are an independent contractor who offers their services to the company according to a short-term arrangement. This does not make you an employee of Amazon and so you do not receive any employee benefits. Can My Kids/Pet/Friends Accompany Me on My Delivery Rounds? There is no rule against you having any company in your vehicle while delivering packages on your route. It is your responsibility, however, to ensure your company – pet or human – does not cause any damage to the packages, and the packages are allowed sufficient room. Amazon Flex is a fair alternative if you have a car and enough time at your disposal to deliver their shipments. It is the perfect temp job if you know your way around the city and could use your free time to earn some decent money. For stay-at-home parents and shift workers, it provides an excellent opportunity to supplement your household earnings. It pays even better if you fulfill urgent deliveries by Prime Now and Amazon Restaurants, where you also become eligible for tips by customers. The downside is it might become monotonous to drive around, and you often might have to cover quite some distances for a sum which, at times, might not seem proportionate to your fuel costs. If the economics of it are in your favor, Amazon Flex can offer you a great chance to make some money right from the comfort of your own car!